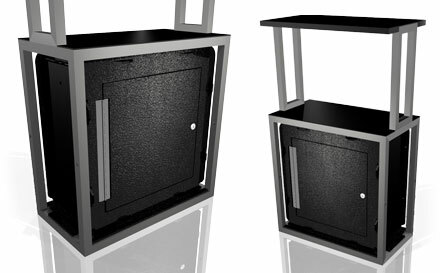 Since the MultiQuad exhibit system is all about flexibility and style diversity, we thought it only fitting to give you some options when selecting your podiums. 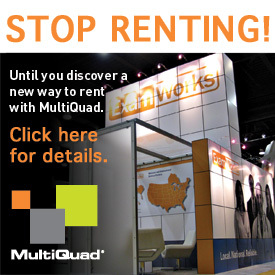 Choose between two styles, two sizes and then configure them in any arrangement you desire. 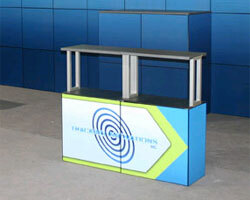 A single podium can be used on its own, arranged in an L-shape or pushed together to create a divider wall. 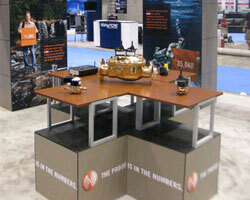 With the ease of changing arrangements, mixing options and moving your podiums, your options will never be limited. 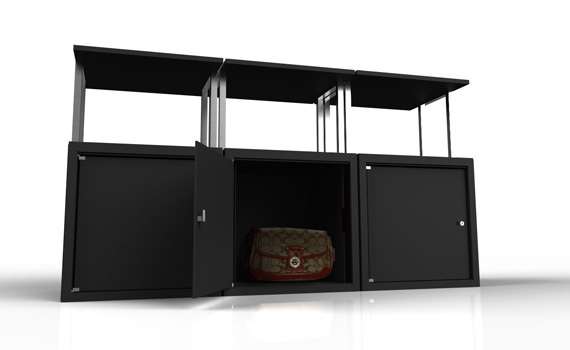 The POD1 has a solid base that provides an open top area that is perfect for utilizing as a small shelf for product displays. 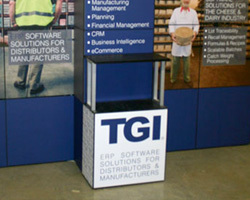 The podium base can even be uplit to provide nice accent lighting for your product display. 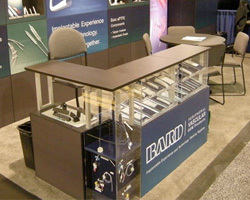 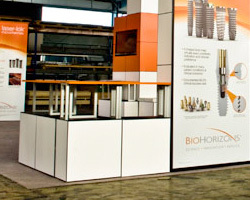 A standard size MultiQuad podium with shelf. 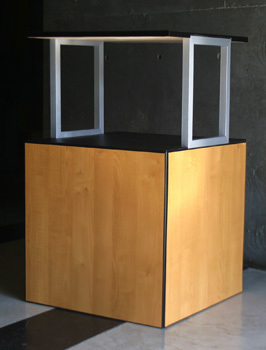 A MAX size MultiQuad podium with shelf. 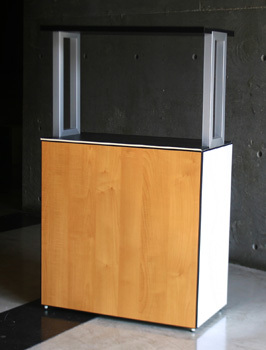 The POD2 offers the same height as a POD1, but alternates the look and feel of the podium, and provides a little extra foot space when standing directly next to the podium for a presentation. 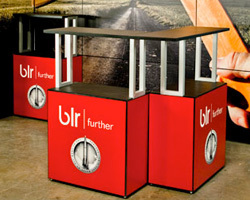 A standard size MultiQuad podium with legs. 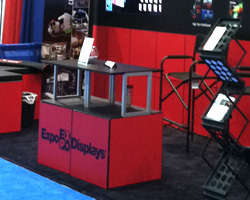 Rollover image to see alternate view. 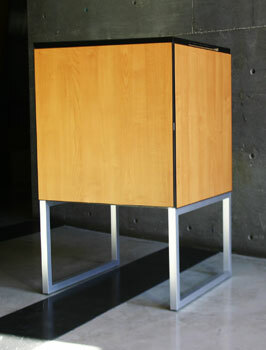 The MAX podium with legs. 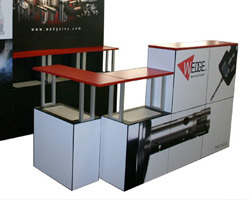 Maximize the space in the corner of your booth with an L-Shaped podium. 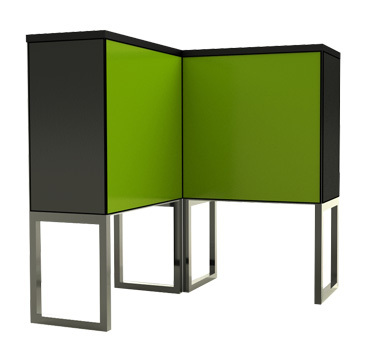 L-Shaped podiums are available in either the POD1 or POD2 option, so you can pick what fits your style best. 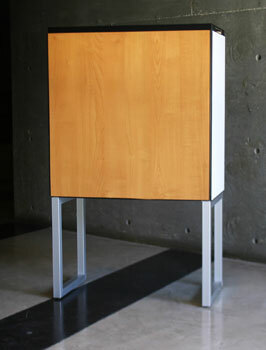 An L-Shaped podium utilizing the POD2 style.